1. Fixed a bug where other redirect plugins would have interfered with the plugin. 3. Fixed Opera and IE detection bugs - where Opera was mixed with Chrome and IE was mixed with Edge. 1. Changed plugin specific user permission to use "manage_options"
1. Added plugin specific user permission: "weptile_redirect". 5. Fixed URL string redirect. 6. Fixed bugs on XML import. 1. Updated error logs display using datatables.js. 2. Updated edit rule function to run via ajax for better user experience. 3. Fixed bugs when saving regex rules. 1. Cleaned up the code, reduced server load, increased performance. Updated device redirect library. Used a new table script for easier/better listing logs. Added auto-search / auto-complete to search dropdowns. Fixed various minor and visual bugs here and there. Tested and improved functionality and performance on multisite redirects. 2. Updated auto-matching algorithm to match url instead of page titles. 3. 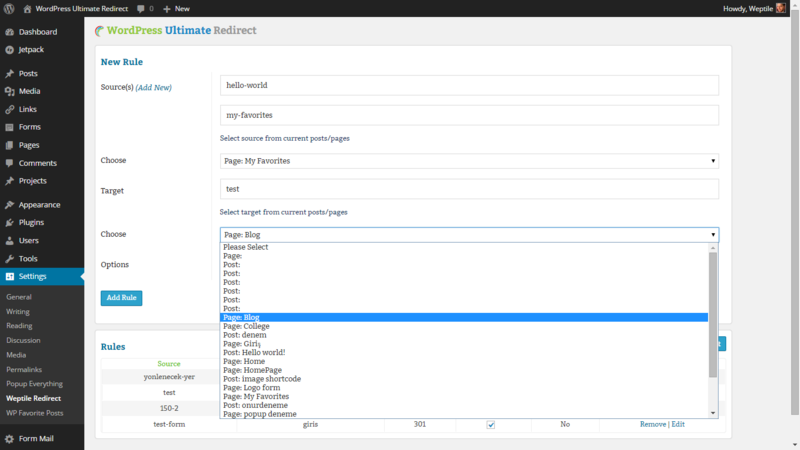 Fixed redirect functionality for different permalink settings. 4. Fixed a bug where redirecting private pages would loop forever. 1. Fixed subpage redirect issue and a bug with admin panel log table links. 2. 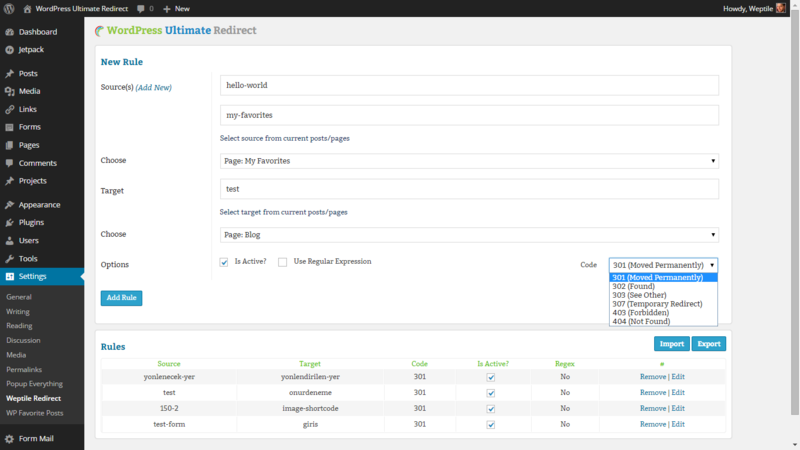 Added homepage redirect option to source and target dropdowns. 1. Fixed a bug where log in control text was printed to screen. 1. 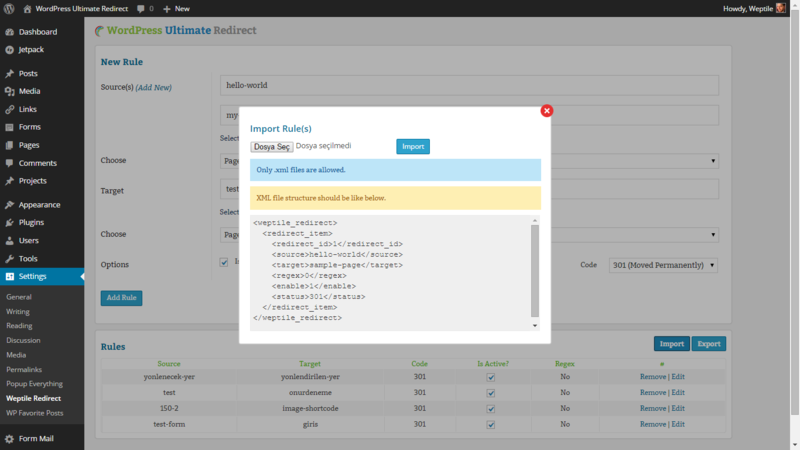 Added a check for user logged in state option for redirect rules.